Marilynn “Joanne” Jones, 83, passed away peacefully July 27, 2018, surrounded by loved-ones. 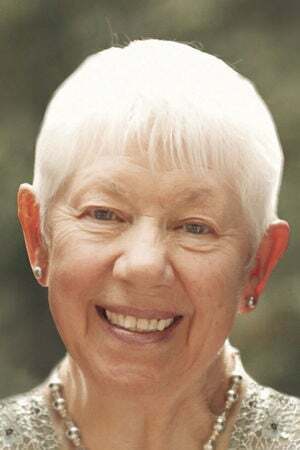 She was born January 9, 1935, in Castle Rock, Wash., to Floyd and Dorothy Varner, the second eldest of six children. Joanne grew up in Toutle, Wash., where she graduated from Toutle Lake High School. In 1956 Joanne married the love of her life, Leonard Jones, and they made their home in Vancouver, Wash., where they raised their three daughters. Joanne loved looking for antiques, specifically glassware. She was also an avid reader who enjoyed learning about a variety of subjects, including history. Her greatest joy was spending time with friends and family, especially her grandchildren and great-grandchildren. Joanne will most be remembered for the incredibly kind and generous person she was, so thoughtful and caring, and always putting others first. Her eldest brother Gail remembers her as being like a “second mother” to her younger siblings. 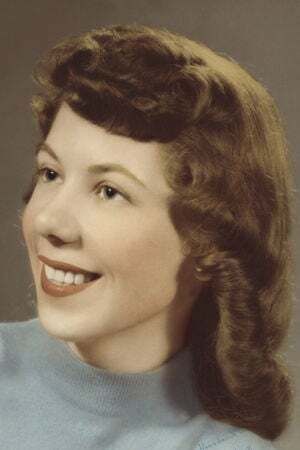 Joanne is survived by her three daughters, Lisa Dillon (Mark), Julie McMullen (Brian), and Brenda Day (James); six grandchildren, Christopher Mayer (Tanis Rusin), Jennifer Scholtes (Liam Fitzsimmons), David Dillon, Lindsay Scholtes (Byron Dover), Deanna, and Jamie McMullen; three great-grandchildren, Aria, Janie Fitzsimmons, and Helene Fitzsimmons; and three siblings, Gail Varner (Sami) of Longview, Bill Varner of Toutle, and Cathy Reynolds of Castle Rock. She was preceded in death by her parents; her husband of 47 years, Leonard Jones; grandson Jordan Day; brother Larry Varner; and sister Frances Knight. Family and friends are welcome to attend a graveside service at 11 a.m. Wednesday, August 15 at Silver Lake Cemetery. A gathering will follow at Toutle Christian Fellowship, 5067 Spirit Lake Hwy., Toutle, WA 98649.